Home, Door and Window Products has been the top leader in the storm door industry providing outstanding storm doors in the Detroit Metro Area. Home and Door is a storm door company that is trustworthy, with over 150,000 satisfied customers. A storm door is an outer door that is installed to protect your home against the inclement weather and brings in natural light. We have Fox storm doors and Trapp storm doors which are the best storm doors on the market. 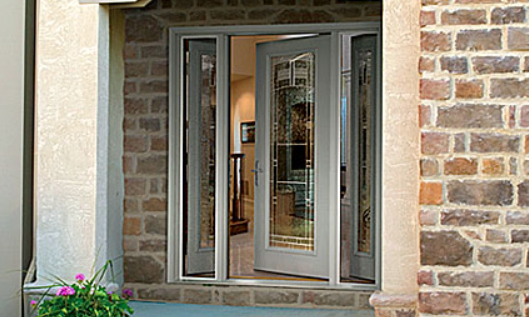 If you are looking for extra security, then check out our new security storm doors that have advanced technology. Home and Door has the best storm doors near Eastpointe. Eastpointe, Michigan is located in Macomb County on the northern side of the Detroit Metro area with over 32,000 residents. Many of those residents come to Home and Door to purchase their custom Fox storm doors or Trapp storm doors. Home and Door’s beautiful storm doors are available in a multitude of styles and finishes. All of our storm doors are of excellent craftsmanship, and we also can create a custom one-of-a-kind security storm door to match your style. Home and Door has a variety of storm doors at our gorgeous showroom, located in Berkley, Michigan and our experienced sales team will help you select a high-quality storm door for your residential home or commercial business. Home and Door’s storm doors will add value and curb appeal to your home. We have the most durable and nice-looking storm doors available in Michigan. Call Home, Door and Window Products today at (248) 399-9900 to get a free in-home estimate.